Protect and care for your hands as this natural hand wash cleanses with the clever natural antibacterial properties of Kanuka Honey. Enriched with Calendula and Pear. Honey is one of the world&apos;s oldest foods and has a long medicinal history. Kanuka Honey - a cousin of Manuka, contains more of the &apos;Manuka factor&apos; that enhances the antimicrobial properties of honey. Potent anti-inflammatory and antibacterial properties. Helps to soothe skin and lock in moisture. Promotes fast healing and regeneration of the skin. Loaded with vitamins and antioxidants with a sweet delicious scent. 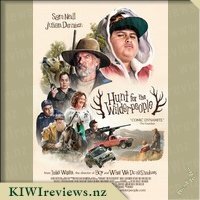 I loved the look of this right from the moment I applied to review it. I had seen the &apos;Only Good&apos; body wash at my Grandmother&apos;s house and thought it must be an expensive flash one. When this arrived, my partner used it first as he had been out on the farm. He exclaimed how amazing it smelt, and it was like lollies. I didn&apos;t believe him at first, as the ingredients were kanuka honey, calendula and pear. 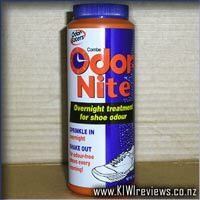 I then used it and it really does smell like lollies / goody goody gum drops! It is just so sweet and lovely. It must be the honey smell that comes through the strongest. I was going to put this in the family bathroom, however I couldn&apos;t give it up as I like it so much I selfishly put it in the ensuite so only the adults could use it! When you pump it into your hand, a decent amount comes out, but the producers have done well as it is the perfect amount. It lathers well, without being too &apos;soapy&apos; and washes off without leaving any residue. My partner cannot stand soap that leaves a smell, and this, to his satisfaction doesn&apos;t leave your hands smelling of the soap. I on the other hand, really like having nice smelling hands, so it is a downfall for me. He also has dermatitis on his hands, and this has not aggravated it al all. The other really big thing for me is that this product is palm free, not tested on animals and safe for septic tanks. 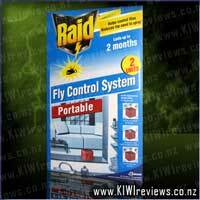 It looks fantastic on the basin and does a great job at its job, of hand washing. I have already purchased the lime bodywash of this since having the hand soap for review. It is a product that I am in love with and will continue to buy. Yes it is a bit more expensive, however I feel you pay for quality over quantity and this is definitely quality! Oh my what to say about this amazing hand wash. I was excited to be able to try the only good range as a few of my friends absolutely rave about this product. So I was looking forward to trying it for myself and seeing what was so great about it. First off I love the hand pump. Its so easy to push and puts out the perfect amount. My daughter who is three was very excited that she could use the pump easily and even exclaimed "Mum, look I can do it myself". The smell, oh the smell it was divine. Such a sweet smelling hand wash and you could definately smell the pear in it. I was really happy to see that it didn&apos;t irritate my skin, I have really sensitive skin so this is a great start. The bottle size is the perfect size to grab in your hand. I love the packaging of this product. It is very simple but bold at the same time. To me something with simplistic packing is the best as it stands out more especially against other bottles from other brands where the packaging is very busy. All in all a great hand wash that smells amazing. It made my skin feel soft and didn&apos;t irritate my sensitive skin. I think the price is fairly reasonable and I can&apos;t wait to try more of this brands products. I work in childcare with under twos, so I&apos;m always using my hands for nappy changes and then washing down the mat with bleach solution and wiping that away, washing hands, cleaning toys, always using some sort of chemical and taking gloves on and off, so its fair to say my hands go through so much in one day. My hands are always feeling dry and yuck so I needed something that can help my hands. I have always been someone that uses pump soaps and nothing seems to help me. The bottle is a lovely bottle and looks great in my kitchen at home and on the little kitchen in my room at work so easy to use a quick pump and it lets out a nice smell, smells like pear and honey. Since using it at work at home, my hands haven&apos;t been dry and they seem to feel much softer, which is making me feel happy. This soap isn&apos;t full of bad things, the lovely smell of the honey and of cause knowing that honey helps with lots, its a great idea putting it in a soap that will protect and care for my hands. This is a bit more pricey for what I like but with only me using it at the moment it is worth it, until I can convince the partner who works with concrete to use it for his yuck dry hands, but still will be worth it. I love the fact its got no nasties and its NZ made. It really is a great soap all around and I will be buying it again for work and home. I work in early childhood so it&apos;s fair to say I wash my hands 100s of times a day, as a result my hands are always dry and horrible. So I end up spending heaps on hand washes and soaps trying to find one that protects my hands and keeps them nice. 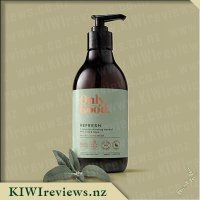 When only good protect hand wash came up for review I was really keen to give it a try. Anything that is 100% natural, smooths skin, locks in moisture and kills the germs is worth a try! When it arrived I was impressed with the bottle I first thought it was glass it was sure an elegant looking bottle, picking it up I soon discovered though it was plastic. The bottle is such a nice sleek design and looks good in any bathroom or kitchen. Opening the hand wash was super easy a quick twist and it was ready to go. First pump of hand wash on to my hands and I was sold, the smell was amazing unlike anything I have tried in the past. It is such a nice natural fragrance rather than the fake scents you usually get. My husband commented it smelt good enough to eat and it wasn&apos;t far wrong it almost does. I quickly found you only need a small amount it foams up nicely and feels lovely going onto your hands not slimy like a lot of other hand washes. Right from first use it left my hands feeling and smelling wonderful. Within a few days it my hands were a lot softer and certainly not as dry as they usually are. Since getting Only good to review it&apos;s the only hand wash I have used I have already been out and brought more so I can have one to use at work as well as at home. While the price is a bit higher than I would normally pay for hand wash it is worth every cent. I have always been a flowing soap girl. Even when I was at my poorest flowing soap was one of my few indulgences. Over the years I have tried lots of different brands and usually when I look at the ingredients I cringe. I hate to think what these flowing soaps are doing to my skin, my family and the emnvironment. With a name like Only Good it promises great things. Only Good Protect Hand Wash is 100% natural. The list of all the bad things it doesn&apos;t contain is so much longer than the good stuff it does. I can now use a hand wash without any guilt. I know it will be good for me, my family and the planet. The children don&apos;t really care about all that stuff but they still loved it. They made no mess on the vanity with it. The dark bottle wasn&apos;t as appealing to the children as some of the coloured hand washes we have had in the past but they loved the smell. They called it the bubblegum soap. I found the pump bottle very easy to use. It looked quite posh on my vanity. The rest of my household were unsure whether it was hand wash or moisturiser until I told them. It is a product I am proud to have in my house. I felt it left my hands clean and didn&apos;t dry them out. I am keen to try some of the other Only Good products as they have 3 other hand washes and 6 body washes. 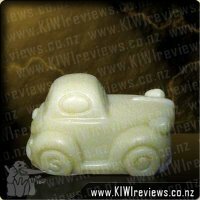 Having tried the body soap in this range, I was very happy to get a bottle of this hand soap to trial at home. The overall look of the bottle is something a bit different to other brands that you can buy in the supermarket and that&apos;s not a bad thing, it helps it to stand out a bit and being brown and a dirty green, the colours suit the natural aim of the soap. I love that right up front its letting us know that it wasn&apos;t tested on animals, its palm free and also what we can expect to smell like. Trying this out for the first time I was struck by the smell of this right away, and I&apos;m talking struck in a good way, I&apos;m loving using this soap and 50% of that is based simply on the smell, I look forward to washing my hands. Lol. You don&apos;t need a lot, a little goes a long way, and it feels more silky than slimy, so its already better than a lot of other brands that I&apos;ve tried. 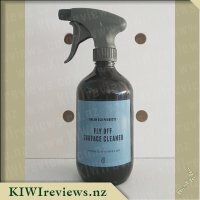 This leathers up really well and does a thorough job of cleaning away the dirt and grime that comes with daily life and any extra that it might throw at you (such as moving wood from one pile to another and children having mud fights...). Loving this soap, and though $5.99 is more that I would usually spend, I&apos;m loving this soap and my hands are too, so onto the shopping lists it goes. Liquid soap is used a lot in my household. With an active boy who loves getting dirty it is important that I have a good hand wash to know he is washing away all the nasty when asked to wash his hands, without gaining anything yuck from the added junk they put in it product. Knowing the Only Good - Protect Natural Hand Wash is 100% natural is great! The smell of the hand wash in amazing not only while washing your hands but afterwards as well, and I love the easy to use pump. Also the easy to close pump lid which is great for when the younger niece comes to visit. Having all the information on the bottle which is easy to see and read is great and eye catching. A lot of NO ingredients on the bottle which straight away you realise this is a great safe and natural product. I love the simple but professional looking label of the bottle. I feel the only good logo is effect and eye catching and the information is also capturing to the reader. Nothing gets over looked or it is not overwhelming when looking at the bottle, as some labels can have too much information in a small space. For the price I think it is fair to pay $5.99 for a natural hand wash. I normally but the cheaper liquid hand wash for the house hold, mainly because a bottle can go fast when you have a child who needs to wash his hands so many times a day. 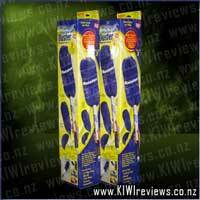 But the safety of the product the naturalness out ways the price, so I think I would buy it for the household to use. Especially when the time comes to eat food, my son uses his fingers more than his fork so it&apos;s great to know this natural product would be better for that occasion. When it comes to selecting products that I use on my skin such as hand washes and soaps I have to be really careful as I suffer from Eczema and anything nasty can cause a massive onset of this. When I saw that some products from the Only Good range were up for review I was keen to try them out having seen them in the supermarkets and noticing that they were made from natural ingredients - always a good indication of a safe product to use in my case. The hand wash comes in a 300ml plastic pump bottle which looks stylish and sleek with a very contemporary look to it making a great added addition to my kitchen bench for hand washing, the colours just match in perfectly, with the dark plastic coloured bottle and the slight yellow coloured label. To open the hand wash is extremely simple all you have to do is twist the top to the right and your done, I must add there is no need to struggle as you do this like I find with many products I have used in the past. The Protect Natural Hand Soap is made from a blend of Pear, Honey and Calendula which left me interested in finding out how would this smell as although I know what honey and pear smells like I was unsure about the Calendula. Wow pumping a squirt of the hand wash on to my hands and smelling it I was left with the most scrumptious smelling product ever, it truly smells amazing, and although I really can&apos;t quite work out what the smell is as it reminds me of many different yummy scents i&apos;d say it was something like candyfloss, vanilla, a cupcake or perhaps bubblegum either way it smells DELICIOUS! So delicious you could almost eat it. Rubbing it into my hands it lathered up really nicely and was easy to rinse with water, and I can honestly stay that the yummy smell stays on your hands for quite some time after hand washing, well over an hour. Since having now used this product for hand washing for over a week I can say I have noticed that my skin is feeling extremely soft and smooth, making this product a great find, the only thing I will warm others about is to not use this product if you have a small cut on your skin as it does sting as I have found out last night, good to know for future reference. All in all a great 100% natural and cruelty free product that i&apos;ll certainly be buying again. I have extremely sensitive skin and have never used soap before until a year ago when I had to. We got a turtle and as they carry Salmonella I have to make sure my hands are cleaned after coming into contact with her. Anyone who knows anything about turtles knows how dirty their tanks can get so every week I need to give it a complete clean out. I previously had been using a very sensitive soap on my hands, until trying this. I have to say I love it. It smells absolutely devine, gentle on my hands and leaves them feeling like they are nice and clean. Opening it was so easy - turn to the right and it opened straight away, no taking hours of turning. The first squirt is always my biggest concern as I react straight away and so I was a little hesitant taking the first go but I need not have been, it felt so light and soaped up lovely - not to much just that perfect amount. My husband has commented he finds it disturbing washing his hands in something that he wants to eat and my girls are loving using it, both of them smelling their hands afterwards. It smells like bubblegum to me where as the girls think its ice cream and hubby thinks its a cup cake so take your pick. I just know that this is the soap I will be using from now on and you will always find next to the bathroom sink. A real winner. I&apos;m very particular when it comes to choosing skincare products for my family so I was really excited when this product came up for review. I love discovering new brands that align with my personal preferences and are good for both the environment and my family. It&apos;s also nice to see another natural product on the market as it helps to raise awareness about all the harmful chemicals that are present in a lot of household products. I&apos;ll start off by saying that it smells absolutely divine though I don&apos;t think it matches the product description of Kanuka honey, pear and calendula. I think it smells like bubblegum which strangely enough reminds me of my childhood. My son also loves the smell and every time he washes his hands with it he tells me, "I love washing my hands now". It&apos;s definitely a winner as he always used to complain about having to wash his hands. Not only does it smell good but it also lathers beautifully and leaves my hands feeling lovely and soft. I often get quite dry hands particularly during winter and being a busy mum I wash my hands a lot, but since using this hand wash my hands have never felt so soft and smooth. 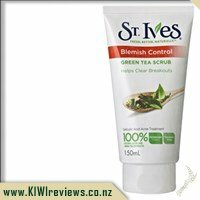 It&apos;s produced right here in New Zealand and is made from 100% naturally derived and approved ingredients. It&apos;s also paraben, palm oil and cruelty free - what&apos;s not to love?! I will definitely be buying this product again. It&apos;s a win win for both me and the environment plus I like supporting New Zealand businesses where I can. OMG I love this one! I&apos;m a male who was raised with bar soap, and being stuck in my ways, I prefer bar soaps, but deciding to give these liquid soaps a shot was, it turns out, a very good decision indeed. Full of natural ingredients, and no synthetic chemicals, these are not only good for you, but also for the environment. 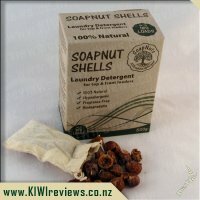 Most people are utterly unaware of the level of toxic chemicals that get washed down sinks in the modern world, so the growing movement towards better natural products that don&apos;t look and smell like something Aunty Doreen brewed up in her back shed is a great thing in my opinion. While I can&apos;t say I am an expert on smells, I have to say the scent - while utterly amazing to me - didn&apos;t match the description.I know what honey smells like... I know what pears smell like... I have no idea what Calendula smells like though... but I do know that when they are mixed together in this concoction... to me, they give off more of a citrus smell. It reminds me of a Jaffa thickshake I was enamoured with as a young child - it was a cheap and nasty syrup that magically turned into the most amazing flavour when blended into ice-cream and milk... so for me, this hand-wash is not just an effective cleaning product, it&apos;s a trip down memory lane to simpler years every time I wash my hands. The soap itself feels soft and smooth in the hand, gives a great lather (except when I have been working in the garden - my hands are usually FILTHY because I hate wearing gloves) and rinses off cleanly leaving my hands feeling refreshed and utterly clean. There&apos;s no oily residue like I get from cheaper liquid soaps in the past, and it doesn&apos;t leave my hands dry and brittle after an hour or so. Overall, a wonderful product and one I will certainly be buying again! I would like to see a higher degree of recyclable and/or recycled content in the bottle - the pump in particular - but I think I could overlook that if the soap itself could be bought in fully-recyclable refill pouches the way some of the cheaper soaps have started to do in recent years. 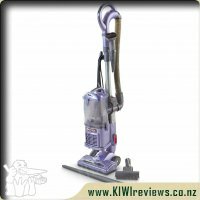 When I first saw this product become available for review I was delighted, I&apos;ve seen the Only Good brand on the shelf at our local New World and was intrigued by the idea behind the product range. More and more awareness is being spread about harmful ingredients in health and beauty products, and it&apos;s great to have another cruelty free, safe option to choose from. My first impression of the product is that the packaging sets itself apart from your typical hand wash, making it easily identifiable on the shelf at your local shop for future purchases. The label has a subtle texture, and an easy to read font with soft pastel colouring. The bottle itself is made from recyclable plastic, and is 300ml in size with an easy to use pump that delivers a decent amount of product. 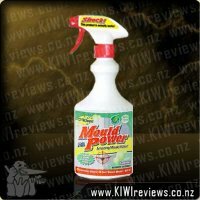 Immediately on closer inspection of the label the attributes of this product stand out - this product is all natural, cruelty free, made in New Zealand, and is safe for septic systems. From the first use of this hand wash it is very noticeable how much kinder Only Good Protect is to your skin as opposed to your standard run-of-the-mill hand soap. The lather to the product is easier to achieve, feels thinner, is easy to wash off, and is laced with a very sweet yet natural scent. Your hands are left feeling hydrated, cleansed, and relaxed. Impressively the Kanuka honey within the hand wash offers natural antibacterial and anti-inflammatory, while Calendula is also a natural anti-inflammatory - this appears to contribute to the relaxing / soothing sensation when using the product. If you&apos;re wanting an all-natural product that is kind to your skin and the environment, and you&apos;ve been thinking about buying Only Good Protect - I urge that you give it a go, and buy this product. The anti-inflammatory properties in this hand wash are amazing, and give relief to tired, working hands. After being lucky enough to review this, it will be in our house for years to come. 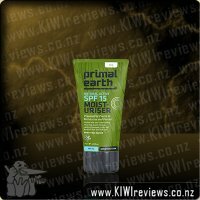 Primal Earth SPF 15 Balm is a soothing natural Balm that is non-greasy while locking in essential Moisture. With Non-nano natural Zinc Oxide it protects against the elements.